Jo is an internationally accredited Sports Massage Therapist, with Remedial Massage qualifications from Sydney and London. She has treated ‘weekend warrior’ athletes up to Olympic level, including marathon runners, triathletes, ultra distance runners, cyclists, footy players, high jumpers, rowers, PTs, as well as many pregnant women, corporate clients and professional musicians. 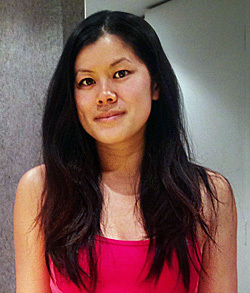 Her range of techniques include trigger point therapy, mobilisations, myofascial release, soft tissue release with a particular love for active release techniques (ART). As well as providing massage therapy, Jo actively works with clients by recommending corrective exercises and home-care advice to improve mobility and postural imbalances. Contact us today and let Jo help you to get on top of your game!